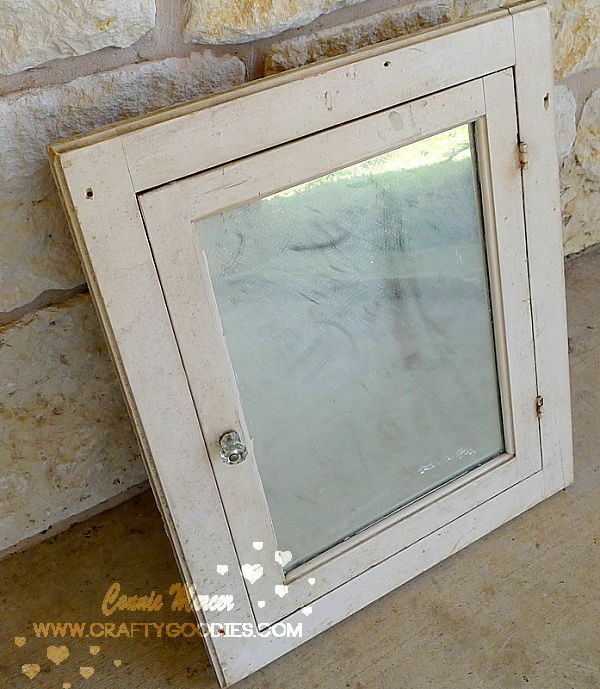 crafty goodies: Junkin' ~ from friends! Hi guys~ I wanted to show you some very good junk!!! Some way cool junk and some junk I'm not sure what I'm going to do with, but it is definitely good junk!!! The two door knobs are beautiful! One is brass and the other one has a aged crackled appearance, that I adore!!! The vintage tape measure is really, really old. It is worn thin and fragile!! It will look amazing on something. These were given to me by a dear friend (she is always finding something incredible for me to re-purpose). Love that!!! The JBS team was invited to guest for a store in Japan called Casket (scrapbooking store) is up today . You can see it HERE. Would love to go shopping in their store but first I would need to get to Japan!! Thank You Casket!!! 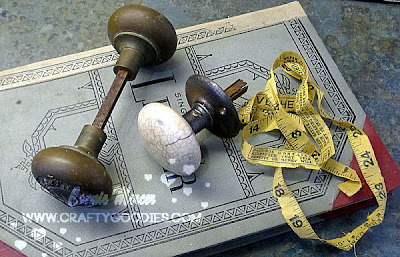 I'm always looking for old doorknobs, love the crackling on that porcelain white knob. The old medicine cabinet has so much potential. Looks like a good cleaning would fix it right up. Great finds. Good friends! I am sorry I am not around much. I have been pulling the night shift at the hospital caring for Emma. That medicine cabinet has great potential! Amazing that a few people in your life know you so well! LOL! It always makes me laugh when I see people buying things we had in our old house. The house was over 150 years old and had the old knobs and all that kind of stuff... it's fun to get for projects... not so fun when you have to fix it all the time! LOL! I love love love your finds. 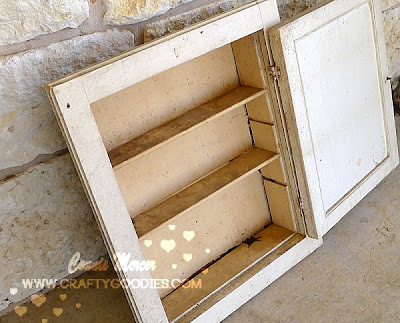 I'm sure you'll repurpose that cabinet. Can't wait to see it. what awesome finds!!! Can't wait for the garage sales to start here! Love those knobs! Wow a store in Japan. Way cool! ooh, love your junkin finds and love your cart from Ikea. I have been wanting one of those. Totally jealous! I agree: good finds and great friends! I know these will be transformed into something spectacular! I love that cabinet! I would use it!